Synthesizing the landscape surrounding him, Armada Music’s Ruben De Ronde keeps his progressive, trance, and chilled-out mindset in overdrive. Synthesizing the landscape surrounding him, Armada Music’s Ruben De Ronde keeps his progressive, trance, and chilled-out mindset in overdrive -- striking a signature musical balance. Surpassing expectations with each release, the celebrated Dutchman takes his studio projects to screaming crowds, playing at Armada Nights, festivals, and ASOT tours around the globe with Armin van Buuren. DJ, producer, and Satement! Music! owner, Ruben has all his bases covered, constantly taking his musicality to the next level. In the studio, he's no victim of the genre black hole – he breaks the mold of progressive house and trance, while taking chilled-out creations for a ride. His global recognition has hooked dance floors of the ASOT world, and his solo efforts saw him collaborating with acclaimed artists like Tenishia and the Ukrainian starlet Aelyn. ‘Bright’, a collaboration with Danny Chen, was released on Armada, and the influential tunes ‘Remain Different’ and ‘For Granted’ ignited 2013. Following up with remixes for Alex M.O.R.P.H and Above & Beyond, his studio barely has time to rest. A milestone in itself, the album ‘From Sao Paulo To Sofia’ went from the ASOT600 tour to the hands of Hardwell. It was featured in the I Am Hardwell tour, and given a chance to shine in the fellow Dutchman’s documentary. Ruben’s track ‘Stoer’ walked into the hands of Joris Voorn’s Rejected Records, where it saw the tech-driven artist embrace its arrival. 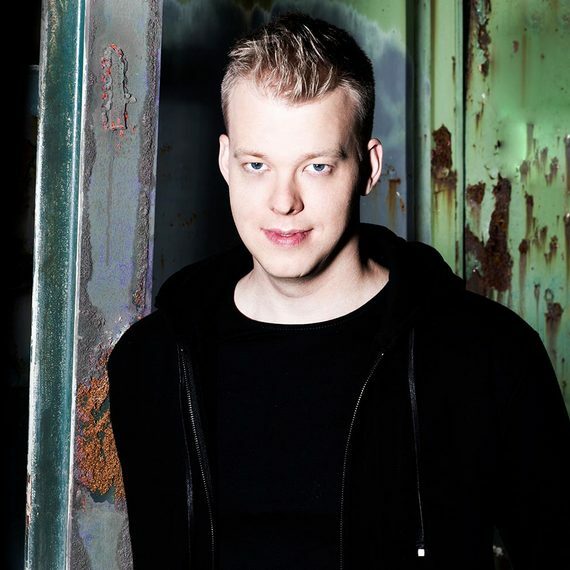 Step outside the studio, and Ruben De Ronde unleashes on the clubs while on stage, dominating top-bill spots at Dance Valley, Nature One’s main stage, Kazantip, Sunrise Festival in Poland, and of course, the inimitable ASOT events in Moscow, Yekateringburg, Buenos Aires, Sofia, and Sao Paolo. He also played in front of half a million people on NYE in Hanoi. As DJ Mag’s trance reviewer in Holland and crowned boss of the ‘Sound of Holland’ weekly radio sessions on Afterhours FM and Sirius, Ruben strikes a nerve within the electronic music industry. He was also a big part of ‘Tomorrowland Radio’ in the summer of 2013. With an upcoming remix edition of ‘From Sao Paolo To Sofia’ and a string of heart-pounding dance-floor projects, Ruben De Ronde won't be in Holland for long before he embarks on his next push through electronic music’s stratosphere.